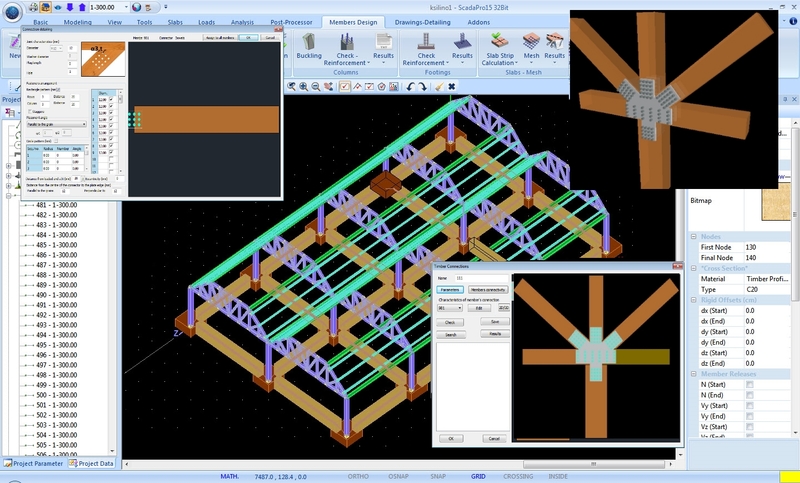 Analysis and design of wooden structures and connections. 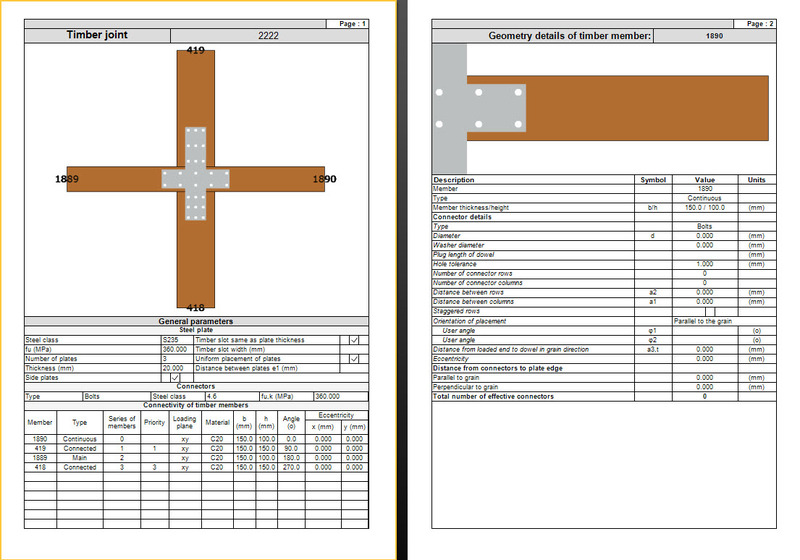 The additional tool (add-on) about the design of Timber structures includes the design of the timber structures according to EC5. It also includes the production of the full report of the project. 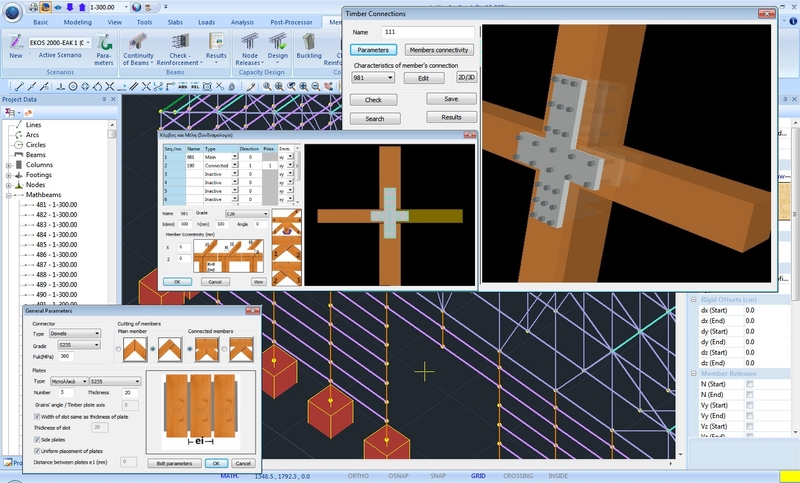 Input, analysis, and design of timber structures based on EC5. 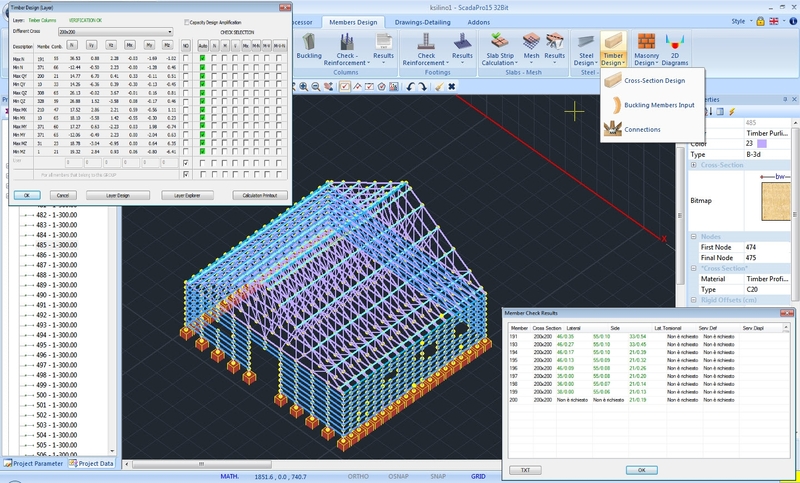 Simulation of timber structures using a rich library of standard cross sections. 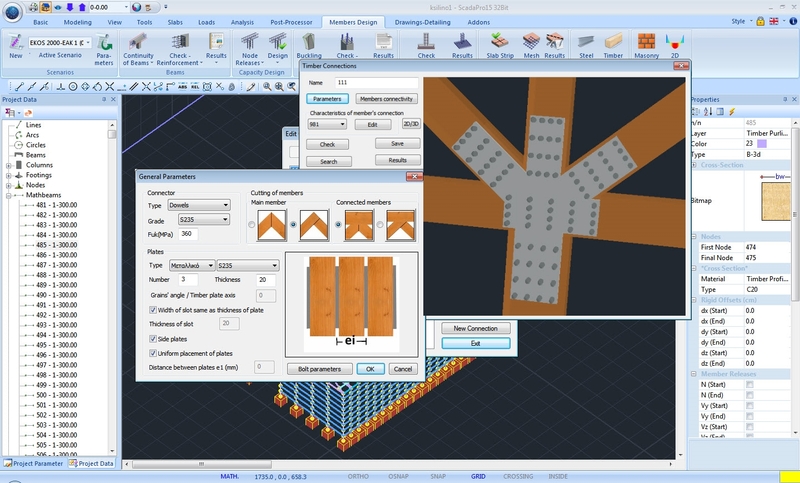 Elastic analysis (linear material simulation)· linear elastic analysis with limited redistribution influence of the connections deformations. Resistance checks of a cross section under tension/compression parallel/vertical to the fibers, bending/shear/torsion resistance check, check of a cross section under combined stress (compressive stresses inclined to the fiber, combined bending and axial tension/compression). Column design check in compression or under combined compression and bending (compression buckling), beam design check in bending or in combination of bending and compression (lateral-torsional buckling). Connections with steel dowel-type fasteners (nails, bolts, screws, dowels and U-shape nails), connections with punched metal plates, connections with shear plate connectors.